Dr David Grimes: Altitude and health – three towns in East Lancashire. 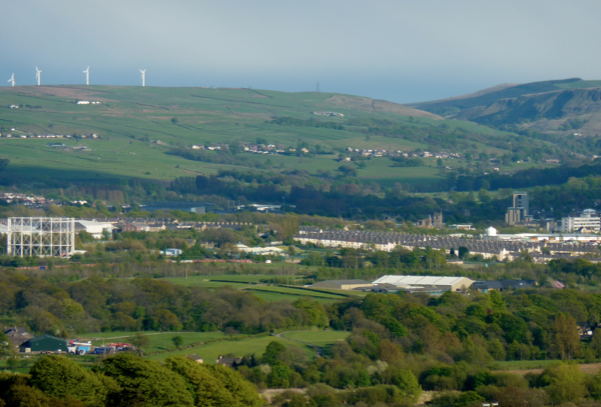 Altitude and health – three towns in East Lancashire. 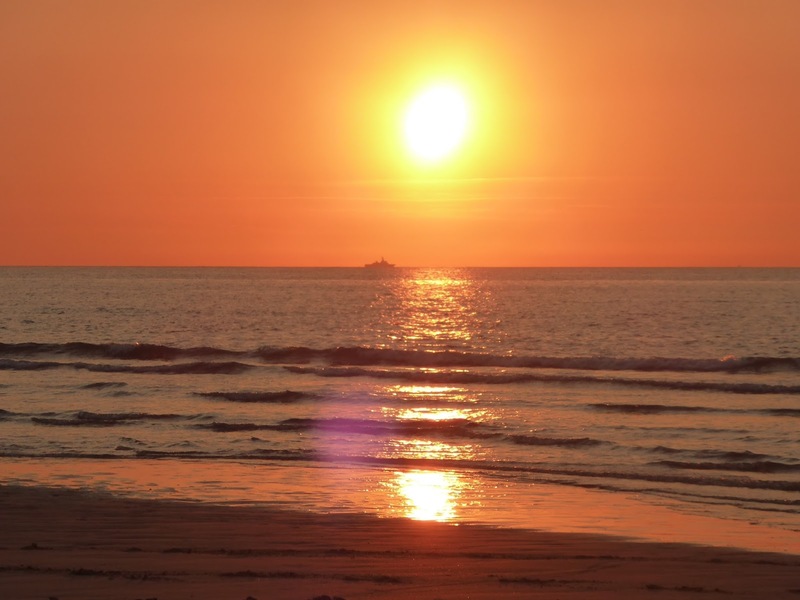 The sun and susceptibility to coronary heart disease – the experience of Lancashire, UK. Previous Posts have described the well-defined epidemic of coronary heart disease (CHD) that occurred during the mid and latter parts of the 20th century. Also the Posts have led to the conclusion that the only realistic (and therefore the most probable) cause of the epidemic appears to be an infection. The actual causative organism has not been defined, but it is usual that the recognition of a microbial cause of a disease precedes the identification of its causative organism. The presence of a disease depends on a combination of its cause plus the susceptibility of an individual or population to it. This is often a function of immunity. However the identification of factors leading to susceptibility are of great importance. We need to determine the difference in the incidence of disease, death rates and life expectancy in various places. A recent Post looked at the much higher incidence of illness and early death in Belfast in Northern Ireland compared to Toulouse in France. The only answer appeared to be a protective effect of the sun acting on the population of Toulouse, which is almost 1000km closer to the equator. Whereas Belfast is at sea level, Toulouse is a slightly higher altitude, 150m above sea level. A previous Post has looked at health inequalities in Three English Towns, demonstrating higher death rates those in the north of England. There was no explanation other than latitude. Dietary characteristics were the same in all towns. 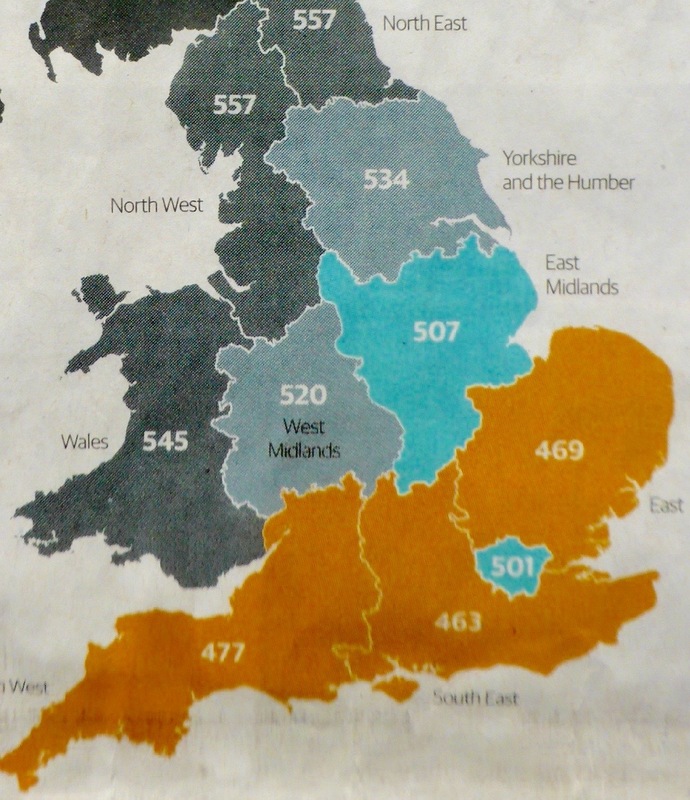 It is now well-known that standardised mortality rates are higher in the north-west of England than the UK average, shown in Figure 1. 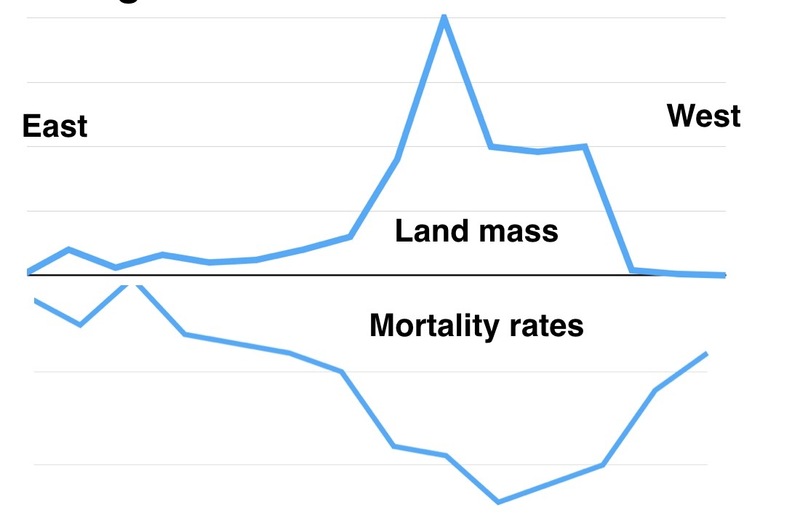 Mortality rates are lowest in the south, and this conforms to a latitude effect. However London has higher mortality rates than the surrounding rural locations. 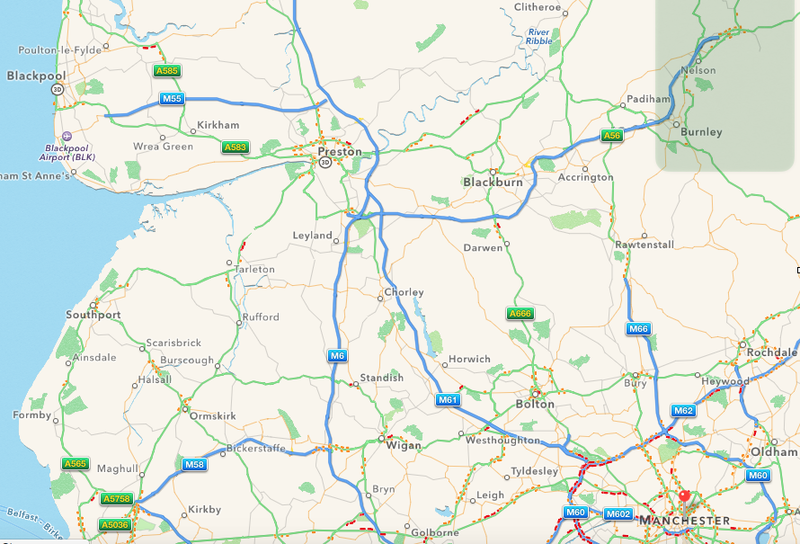 Burnley is one of the major towns of Lancashire, and Nelson and Colne are smaller towns just 10 and 20 km to the north-east. All grew during the 19th century as cotton and textile manufacturing towns, an industry undergoing major decline during the second half of the 20th century. Like all industrial towns, they have been characterised by significant but relative socio-economic deprivation, with low incomes, poor housing, low average educational achievement and bad health profiles. The particularly interesting aspects of the health profiles are the differences between theses three towns that are geographically so close together and so similar in respect of employment patterns. This is shown in the infant mortality rates in the early years of the 20th century. With the standardised average England & Wales mortality rate (SMR) of 100, that of Burnley was one of the nation’s highest infant mortality rates at 160. But it was significantly lower at 117 in Nelson, and well below the national average at 78 in Colne. The difference is remarkable and no explanation was offered when the data were first published. The study was revisited later in the 20th century, this time looking at adult health profiles. 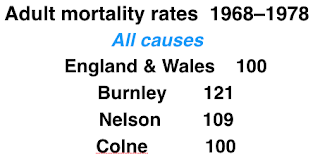 During the years 1968–1978, the SMR for “all cause” mortality was high at 121 in Burnley. 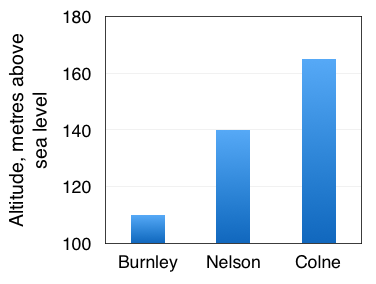 Nelson was better at 109, and the SMR in Cone was on the national average at 100. So we see the same pattern as was present more than 50 years earlier. 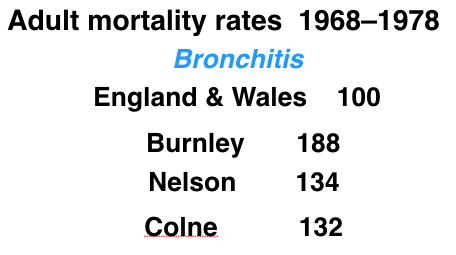 When we look at deaths from “bronchitis” we see an overall high mortality rate in Lancashire, a remarkably high SMR of 188 in Burnley. 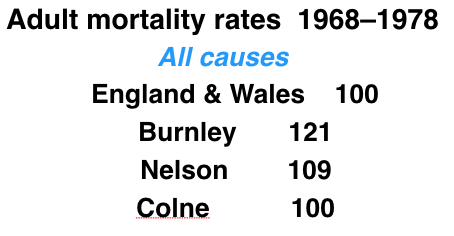 The populations of Nelson and Colne also show high mortality rates, but once again much less than Burnley, with Colne lowest of the three. 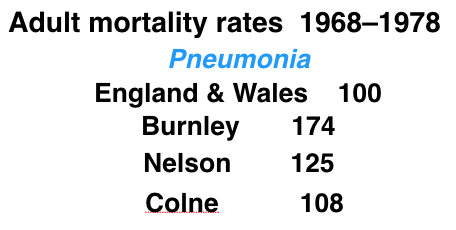 Deaths from pneumonia show the same pattern, Burnley highest of all at 174, Nelson lower at 125, and Colne lower still at 108, just above the national average. 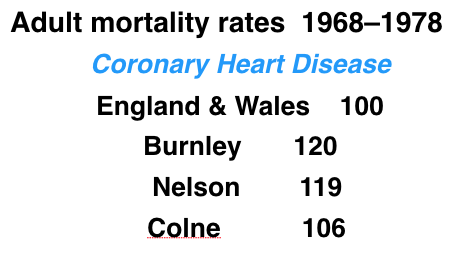 Deaths from coronary heart disease (CHD) show the same pattern. 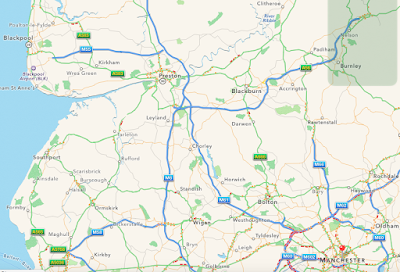 All are above the national average, but is this expected for towns in the north-west of England. 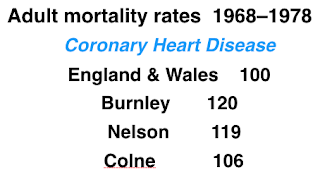 Again, the highest mortality rate of the three is Burnley, Nelson in the middle and the lowest is Colne. So how do we explain this? There is no obvious socio-economic difference between the three towns. No formal research has been undertaken in this respect but no significant population differences can be anticipated, nothing to account for such major differences in death rates. Perhaps it is the geography that is important. We saw this in the comparison between Belfast and Toulouse: geography was the only realistic explanation of the much higher mortality rates in Belfast, the higher latitude with a lower intensity of sunlight being the important factor. 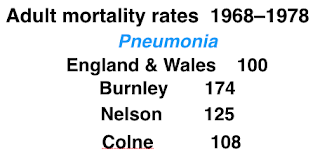 As with Belfast and Toulouse, in Burnley, Nelson and Colne, we are looking not at a case of a disease but of a factor that increases susceptibility to a number of illnesses and results in premature death. 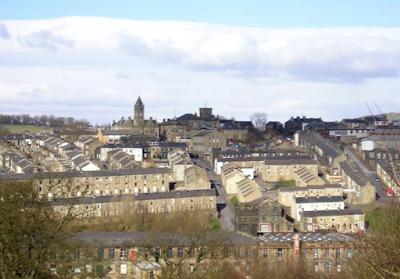 Burnley is located in the valley of the River Calder, a tributary of the River Ribble. The Ribble enters the Irish Sea between Blackpool and Southport. In Burnley the River Calder is joined by the Rivers Brun and Don, and also by Pendle Water. This was an advantage in the pre-steam era, when motive power for factories was provided by gravity acting via running water. Burnley is therefore relatively low-lying. It is in a valley where four rivers meet, and it is known to be damp. 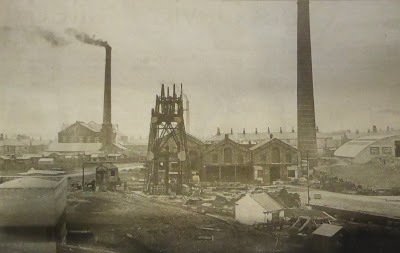 In the industrial era the smoke from domestic and factory chimneys would accumulate in Burnley. When coal and steam came into industrial use, the newer industrial towns of Nelson and Colne could be built away from the rivers. 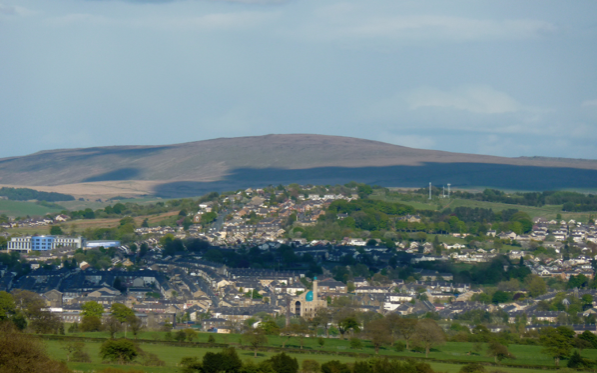 Burnley lies at 105 metres above sea level. 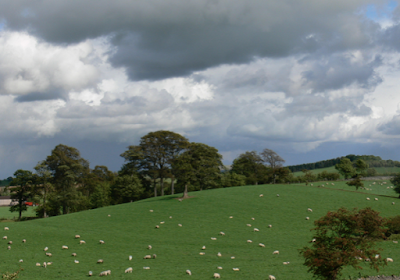 Nelson is further up the valley of Pendle Water, and is built on higher round above the valley. It lies at 160 metres above sea level. Colne is even further up the valley and was originally (in the pre-industrial era) a hilltop town, lying at 190 meters above sea level. And so here we have the most obvious and the most likely explanation of the variation of indices of health of the populations of the three towns: altitude. We have seen this phenomenon in a previous post, which described the same feature in the USA. At a latitude of 37–38 degrees north of the equator, between Washington DC and San Fransisco, there is a convincing inverse relationship between altitude and standardised death rates from coronary heart disease (CHD) and cerebro-vascular disease (CVD). Higher altitude means higher intensity of sunlight at ground level. Of more importance is being above the pollution that is inevitable in an urban environment. An increased altitude of even 30 metres can make a significant difference: the polluted layer of atmosphere is heavier than the atmosphere, and is thus low-lying. 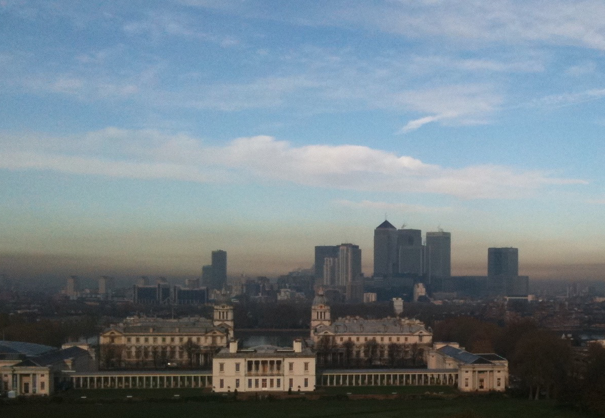 In a city such as London the polluted layer of atmosphere is only thin, perhaps 20 metres. 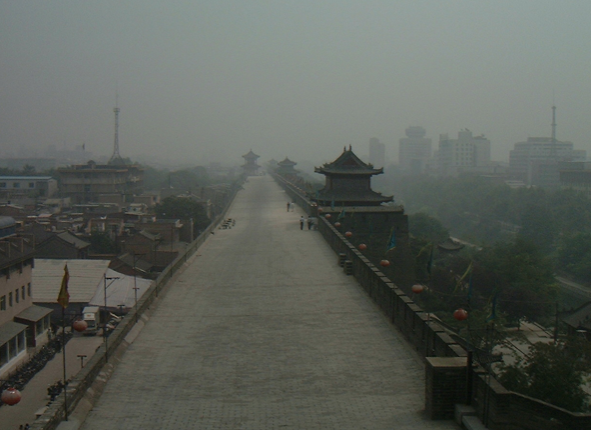 In many cities in China and other rapidly industrialising countries, the atmospheric pollution is very great and its removal by wind and rain is infrequent. The layer of pollution becomes so thick that the sun is totally obscured, despite no natural cloud. Atmospheric pollution is both chemical and physical. Oxides of nitrogen and sulphur cause irritation to eyes and lungs. These give the chemical component of damage. The most damaging component is particulate material, tiny particles of dust and unoxidised carbon, giving a physical rather than or as well as a chemical effect. It is the particles that are responsible for the obstruction to the passage of sunlight to ground level. It has been known for more than two hundred years that death rates are much higher in people living in industrial cities compared to those living in a rural environment. 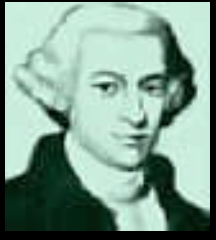 It was first demonstrated in a monograph written in 1773 by the Manchester physician Thomas Percival. The monograph was entitled “Observations on the state of the populations of Manchester and other adjacent places”. It recorded that in Manchester (population 27,246) and in Liverpool the death rates were one in 28 of the population each year. This was twice the death rate in surrounding villages in rural locations, one in 56 per year. 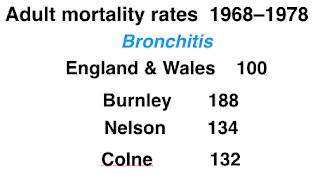 It is the same today, standardised death rates being higher in the cities (polluted air) than in rural locations (clean air). Life expectancy is greater and death rates lower in the countries of southern Europe compared to countries in northern Europe. Death rates from a number of diseases are lower with residence at a higher altitude. This demonstrated in the USA and in East Lancashire, UK. Death rates are lower in rural villages than urban cities. Pollution blocks the sun much more continuously and much more effectively than natural cloud. The common factor is that a major determinant of good health and long life is good exposure to the sun. Notice the apparent Northeast to Southwest cline. While there are some irregularities (i.e., China, Australia, and Greece), the general pattern is strong. This strongly suggests that genetic factors are involved.